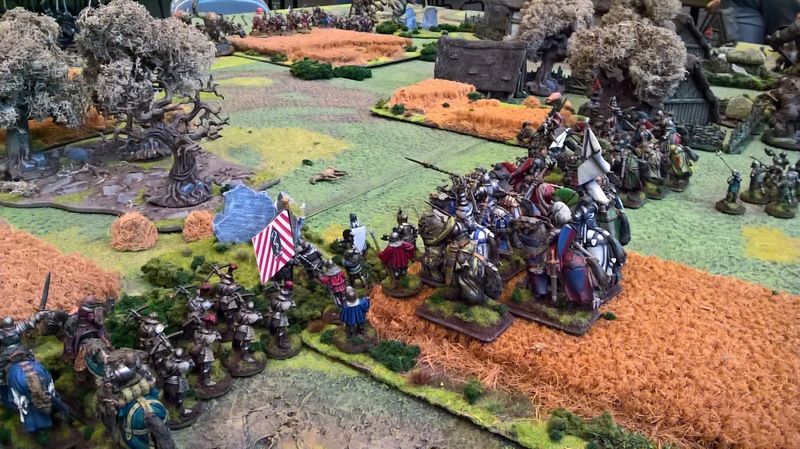 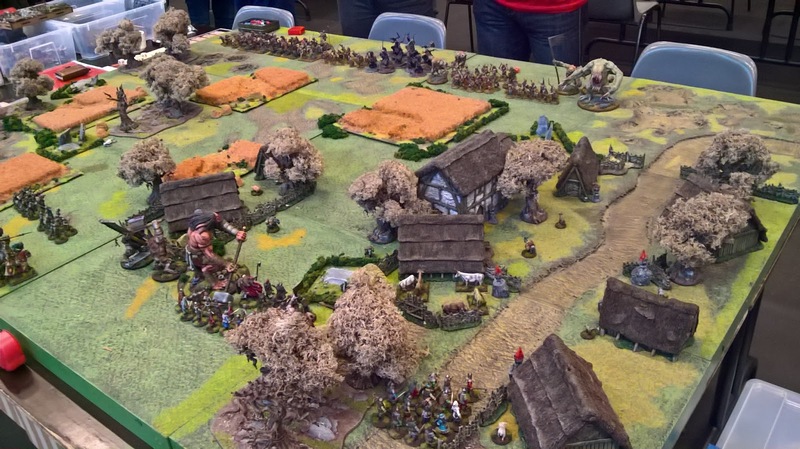 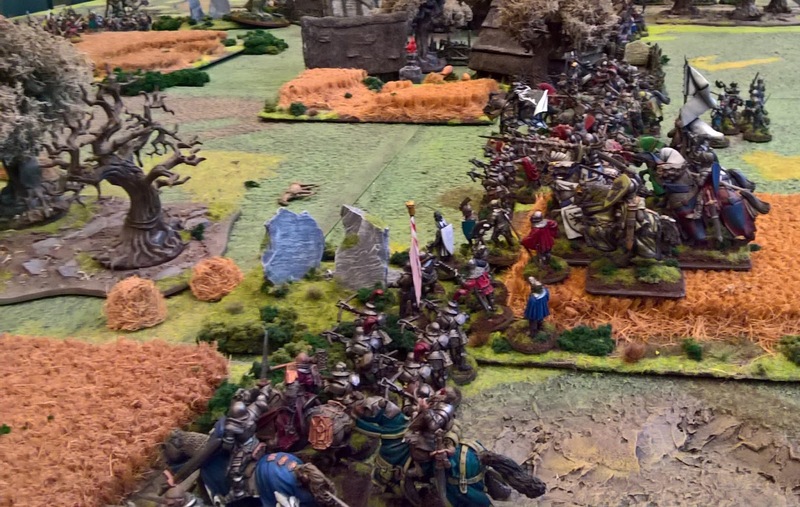 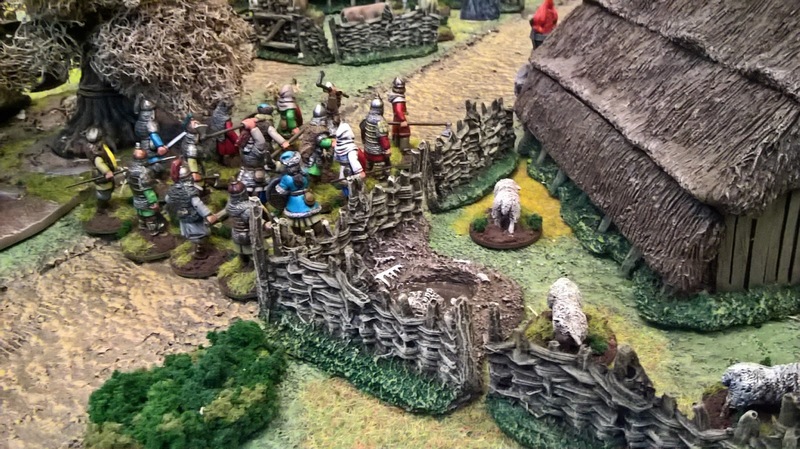 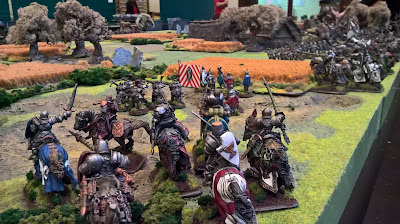 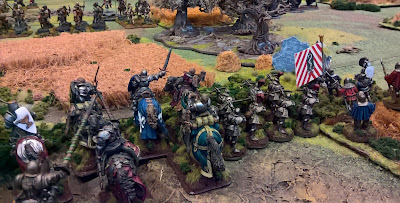 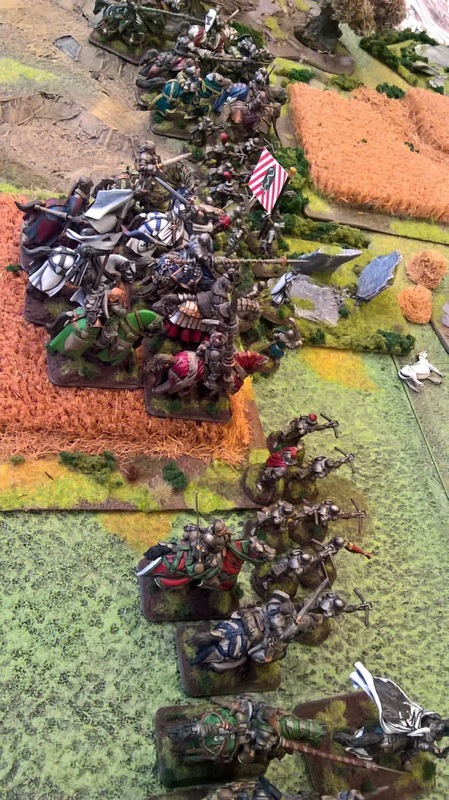 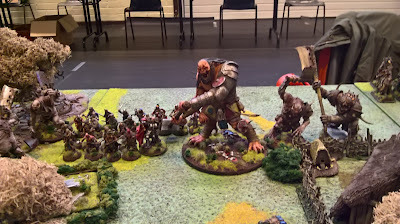 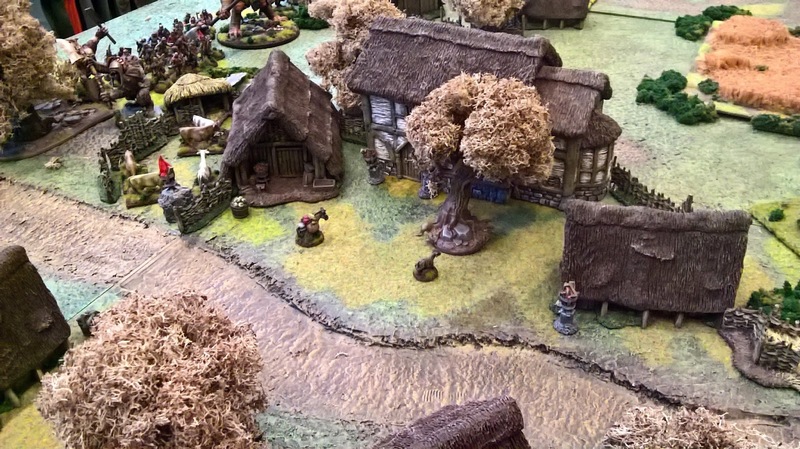 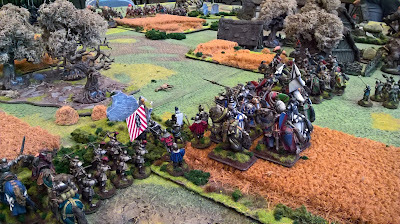 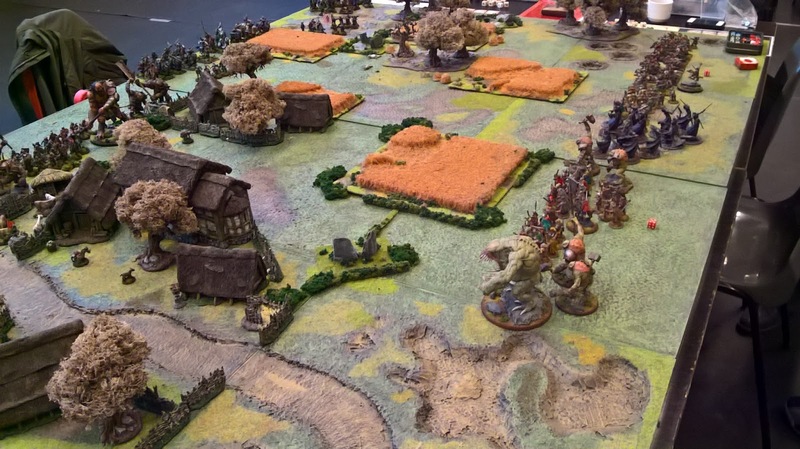 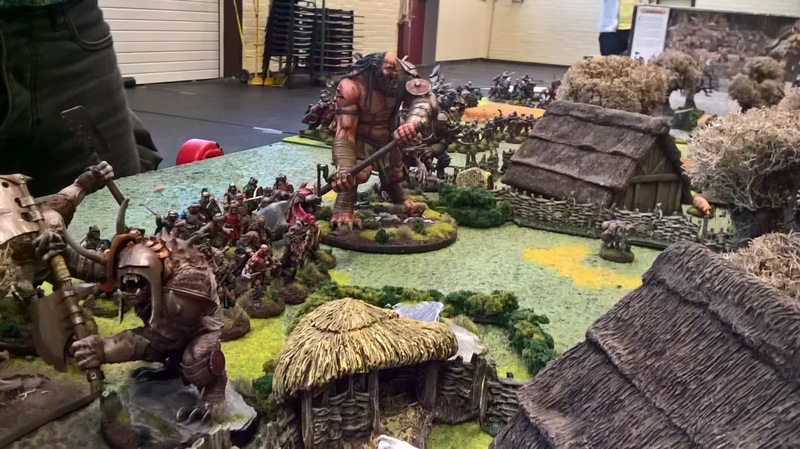 Our wargaming club ‘The Wargaming Monkeys’ hosted a small gaming convention called ‘Wargaming for life’. 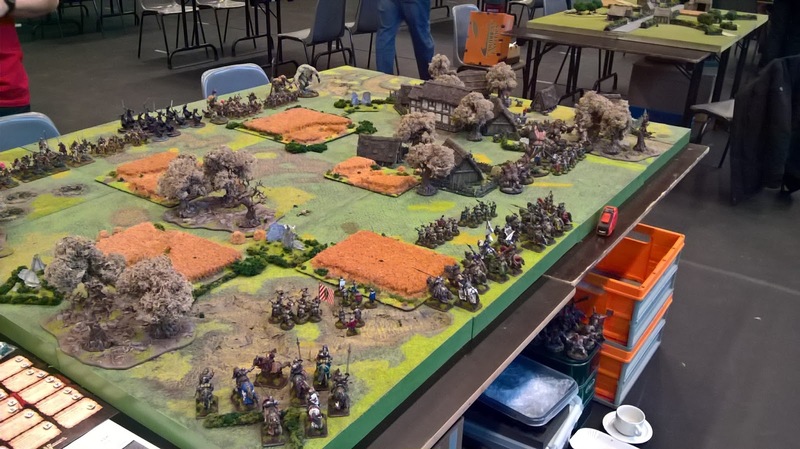 The goal was to raise money for the Kinderkankerfonds, this is a Belgian organisation wich helps children who suffer from cancer. 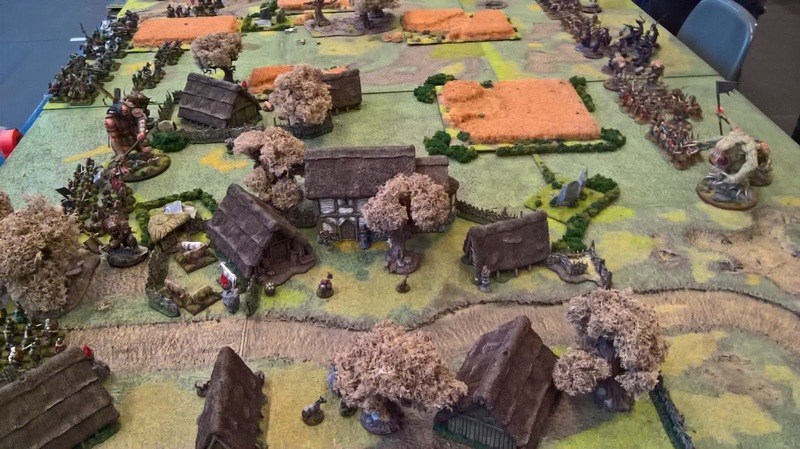 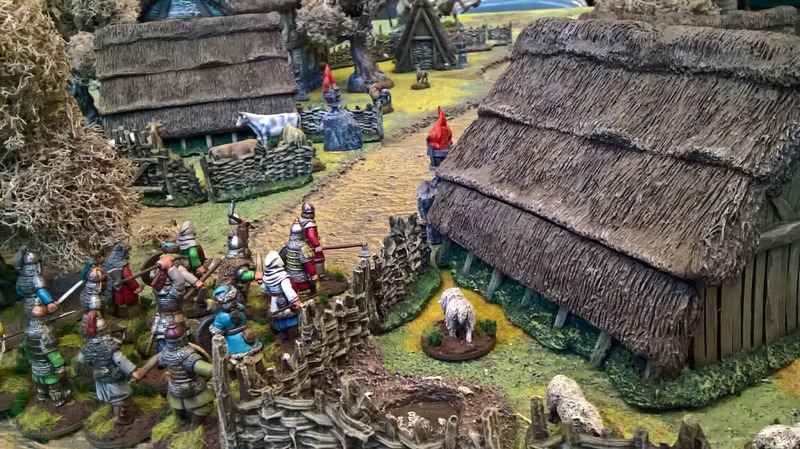 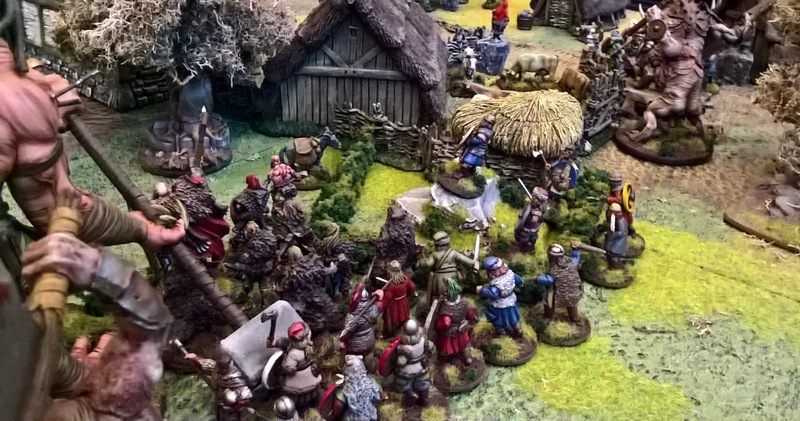 Various Belgian wargaming clubs attended the convention and collected money for this charity. 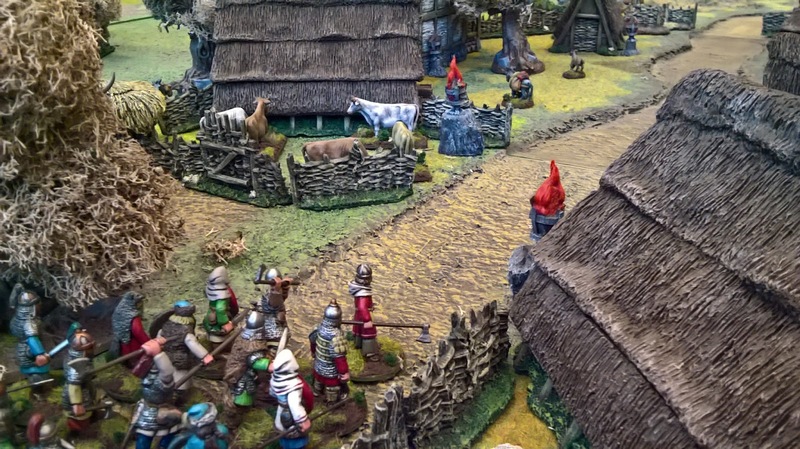 Thomas and I decided to host a large gaming table featering all our painted dark ages/medieval models. 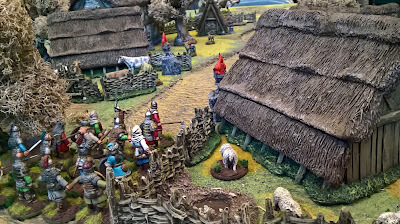 We also wanted to showcase the fantastic Mierce miniatures so decided to mix things up. 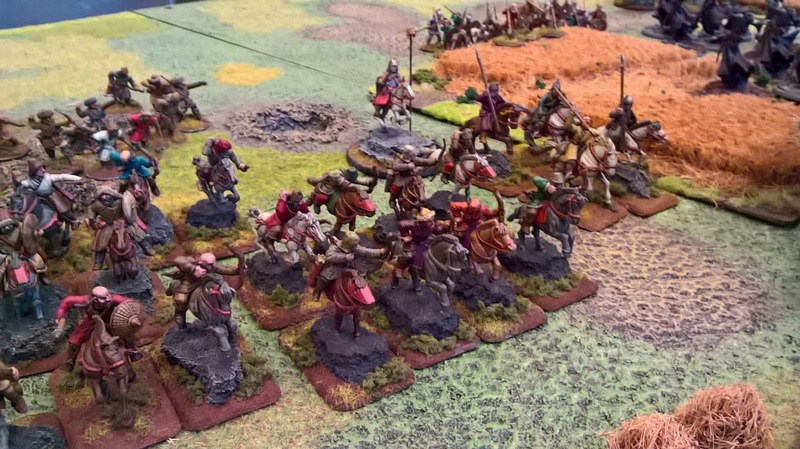 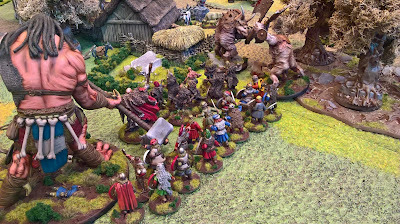 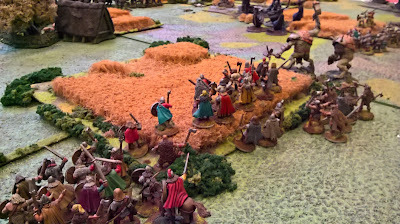 We played a large Saga game with two battleboards on each side. Both of us had two different 10 point armies. Thomas played with the Vikings and Huns. I played Militi Christi and Pagan Rus. 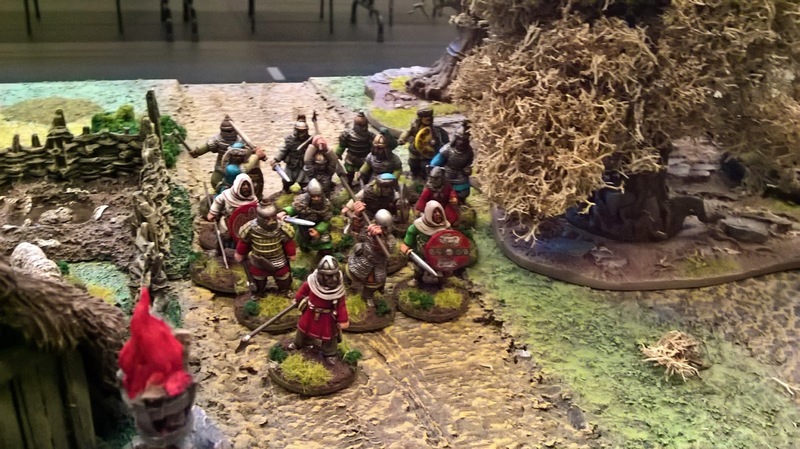 The Mierce miniatures represented large hearthguard units. During the convention, our families and friends payed a visit to our table. A lot of young kids were interested in the models and the game. 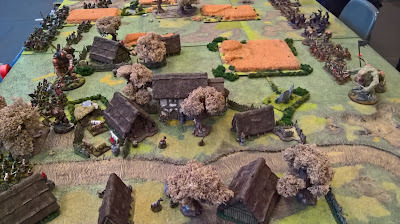 So a great deal of our time was spent on explaining where we got the models from and what wargaming was all about. 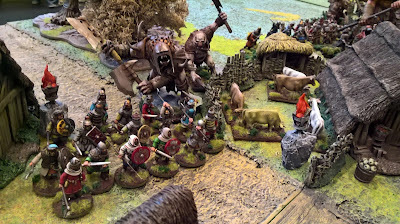 Both of us were joined in battle by some youngsters who wanted to roll dice and move figures. We just finished our game at the end of the day.